Sometime in mid-2011, Boulder-based negotiations specialist William Ury flew to Bogotá at the request of Colombian President Juan Manuel Santos. There in the capital city, high above the country in the Colombian Andes, Santos asked Ury for his help; the time had come to end the nation’s half-century-old civil war. 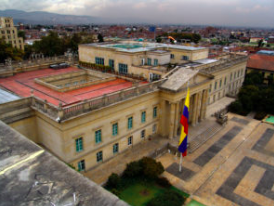 Casa de Nariño, the official home and principal workplace of the President of Colombia. That day Ury became a member of President Santos’ “kitchen cabinet” of peacemakers, a group of advisers from around the world with experience in negotiation and conflict resolution. Ury says he made as many as 25 trips to Colombia over the next five years, meeting with Santos and his advisers, and eventually with leaders of the nation’s largest rebel force, the Revolutionary Armed Forces of Colombia (FARC). “There was a secret phase of the process in which only a handful of people knew … because in the beginning the president needed to make sure the FARC were serious before he could put his political weight behind it,” Ury says. Secrecy, Ury adds, meant absolute confidentiality, even from other branches of the Colombian government. A helicopter was hired to carry a member of President Santos’ team into FARC territory deep in the Colombian jungle. Within moments of landing, the chopper was surrounded by hundreds of AK-47-toting rebels who, with history on their side, were suspicious of the government’s motives. Ury — who was not on the helicopter — says the president’s envoy (someone he refers to as a friend) knew the chopper provided no protection from the bullets, so he stepped out and spoke to the FARC commander, physician Mauricio Jaramillo (a nom de guerre), also known as El Médico. There, with hundreds of guns pointed at his head, the diplomat told Jaramillo that he was now under the personal protection of President Santos. Jaramillo got into the helicopter and became a negotiator in the peace talks. “We trained the negotiators in that process to arrive at the framework agreement, basically an agenda and ground rules that become the constitution of the process,” Ury says of the early days of the peace talks. That process played out for another four years in the public eye, with government officials, advisers and FARC members meeting in Havana, Cuba, for negotiations. And finally, on Sept. 26, William Ury watched, along with thousands of others, as the Colombian government and the leaders of FARC signed a peace agreement in the Caribbean city of Cartagena. All that was left was to vote. 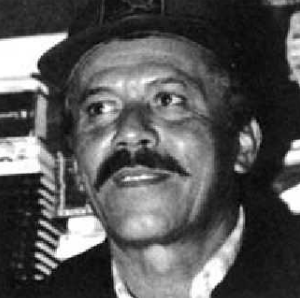 Santos did not need the approval of the people to make the peace deal, but he wanted the vote to demonstrate the importance of public participation in the process. Everyone knew it would be a landslide victory — a wide, double-digit win. The pollsters had the numbers to prove it; on Oct. 2, the people of Colombia would vote yes to ratify the peace deal, bringing 52 years of civil war to an end. But on Oct. 2, the Colombian people said no. “I don’t think there was anyone who wasn’t shocked, even the people who voted against it,” Ury says. The margin was slim; only 50.22 percent of voters opted to reject the deal, but it was enough to send shockwaves through a country well acquainted with loss. Since the mid 1960s, more than 220,000 people have lost their lives, most of them civilians, and as many as 5 million have been displaced as a result of Colombia’s civil war. For just enough Colombians, the terms of the deal simply weren’t enough; most rank-and-file rebels who confessed to their crimes would be granted amnesty. Perhaps worse, those who committed war crimes would face reduced sentences. Turnout was abysmally low, exacerbated by holding a vote when there were no other measures on the ballot. Hurricane Matthew created another obstacle for coastal voters. 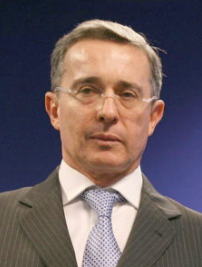 Former Colombian President Álvaro Uribe led a strong campaign against ratifying the peace treaty between the Colombian government and the nation’s largest armed rebel group, FARC. Former President Álvaro Uribe led a strong campaign against accepting the peace treaty, and those who sided with his views saw sitting President Santos as weak for capitulating to rebel demands. While President Santos said there was no “plan B,” the ceasefire remained in place while negotiators went back to the drawing board and further negotiations in Havana. It’s clear the no vote isn’t the end of Colombia’s march toward peace. 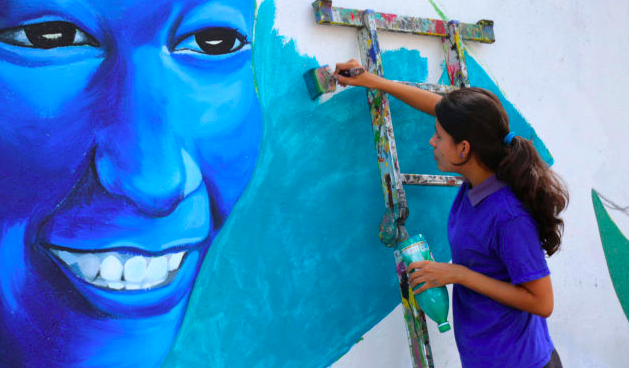 Grassroots organizations have been on the ground in Colombia’s most war-torn areas during the five-year negotiation process, attempting to create infrastructure and jobs in towns that have effectively been held hostage by FARC’s forces for decades. One such organization, One Earth Future (OEF), is headquartered in Broomfield, Colorado. 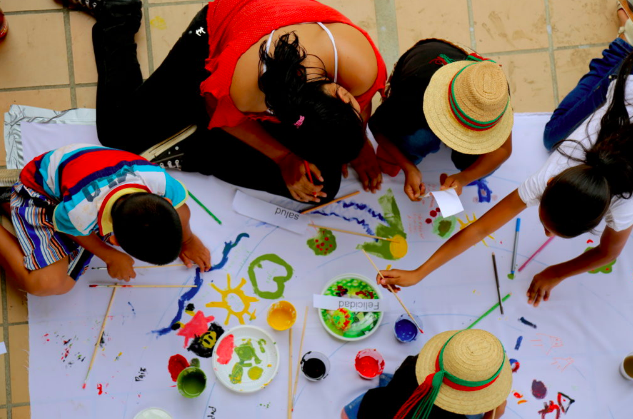 Instead of trying to achieve mandates as an institution thousands of miles away, OEF works as an incubator for grassroots coalitions around the world, providing financial support to programs like PASO Colombia (Paz Sostenible para Colombia, translated as Sustainable Peace for Colombia). Ury, deeply involved in the peace negotiations, began to encourage OEF founder Marcel Arsenault to invest in Colombia. And Ury wasn’t the only one urging Arsenault to look toward Colombia for the future of peacebuilding. Louisville resident John Paul Lederarch has worked in Colombia since the late 1980s and, for the past few years, has advised the office of the High Commissioner for Peace during negotiations. Much of Lederarch’s work in conflict transformation in other countries — the Philippines, Nepal, Somalia, Northern Ireland — centers on territorial peace, the concept that peacebuilding has to be responsive to diverse regions of a country, which takes what he calls a “bottom up” approach. This concept could only be carried out by a group on the ground in Colombia, led by Colombians. A map of the departments (equivalent to a U.S. state) of Colombia. 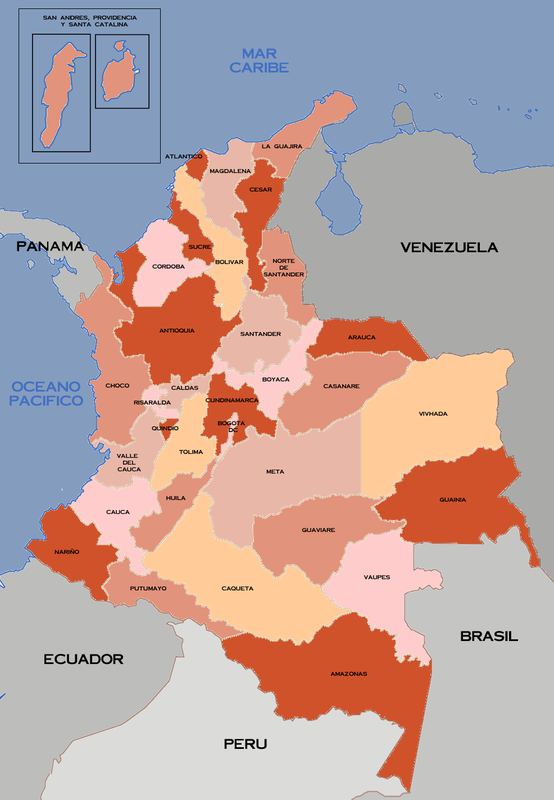 Cuaca, on of the departments that has suffered great human rights violations at the hands of FARC, is located in the southwest of Colombia, bordering the Pacific Ocean. OEF chose Juan Fernando Lucio, a native of the Cauca department (equivalent to a U.S. state) of Colombia, to direct PASO Colombia’s operations. “My early days we were always in front of the TV listening to the news and always very much concerned with what was going on in the country, the conflict, the violence, the people being killed,” Lucio says. Lucio started studying conflict sometime around 2008, eventually working with a company that conducted a longitudinal study of kidnappings in Colombia from the 1970s to 2010. He was also involved in studies on Colombian culture, an experience Lucio says changed him. At the same time, Colombia as a whole was beginning to call for peace, not more violence, against rebel forces. Lucio took a job with MSI, an international company with projects across the globe aimed at countering violence through better municipal governments. Then came the opportunity to work as director of PASO Colombia. With OEF’s support, PASO Colombia built a staff and started studying what peace should look like in Colombia. And what they found was that these people — those most affected by decades of brutal conflict, victims of extortion, kidnappings and murder, many living in poverty — wanted peace, not retribution. PASO held workshops in these conflict stricken areas, asking people to come and answer one question: What does peace mean to them? But they didn’t limit the conversations to words. “The first workshop we did, people would talk … and in speaking, you have the more outspoken people get heard. So we started to experiment with having people draw their feelings, their ideas about peace,” Lucio says. In terms of concrete actions, PASO Colombia has helped the town of Buga, northeast of Cali, secure permits and extra financing to build a 2,600-gallon milk storage facility. The chilled milk will give local dairy farmers a better price for their product. The group is also working to build sustainable fishing in Buenaventura, a coastal port city in the department of Valle del Cauca on the Pacific side of Colombia, and a Shared Resources Program focused on sustainable mining in Antioquia, the department where the famed city of Medellín is located. While Lucio, Lederarch and Ury all see the no vote as a setback, none of them believes that civil war will resume in Colombia. Many of the communities that voted against accepting the treaty were middle class urban areas, people who had not known the brutality of the civil war in more than a decade. 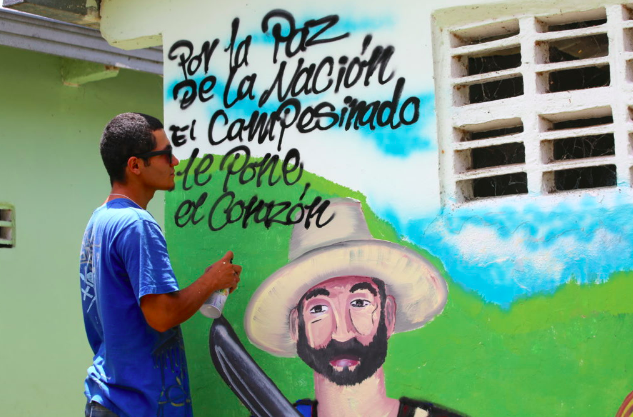 “If you’re sitting in a middle class neighborhood, [you’re wondering] who’s going to pay for the peace process?” Ury says, adding that many Colombians find the idea of FARC members reentering communities and even the political sphere abhorrent. 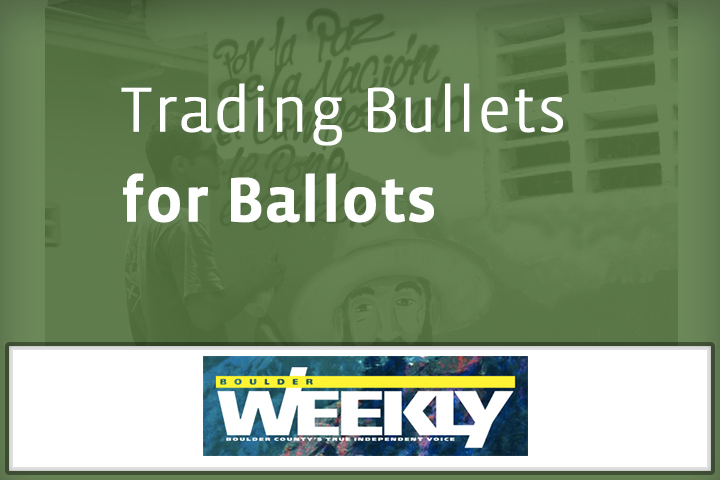 No Replies to "Trading Bullets for Ballots"